Risk and Compliance at Brimstone Consulting. 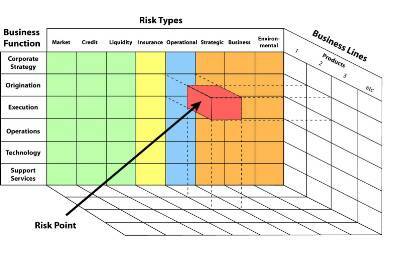 Below and on the additional pages in the side bar menu is an introduction to the main areas of Risk in Businesses (particularly financial service companies). This may be useful if you are new to recruiting in this area. Risk can be looked at holistically or broken up into various areas but they are often inter-related; we have considered below some main financial services areas falling within our Risk specialism. It should not be forgotten there are many other risks e.g. technology, Information/Data Loss, Force Majeure etc. BIPRU –The Prudential Sourcebook for Banks, Building Societies and Investment Firms sets down the detailed rules on ICAAPs, consolidation and all the risk requirements (other than the Fixed Overheads Requirement which is in). GENPRU (General Prudential Sourcebook) overall requirement to have capital resources in excess of the firm’s capital resources requirement and sets out what constitutes capital resources and how different firms should calculate their capital resources. INSPRU (Prudential sourcebook for Insurers) contains the prudential requirements and specific notification requirements for this sector. MIPRU (Prudential sourcebook for Mortgage and Home Finance Firms, and Insurance Intermediaries) contains the prudential requirements and specific notification requirements for these sectors. COBS Conduct of Business. The conduct of business requirements applying to firms with effect from 1 November 2007. ICOBS Insurance Conduct of Business. The non-investment insurance conduct of business requirements. MCOB Mortgages and Home Finance Conduct of Business. The requirements applying to firms with mortgage business customer. BCOBS Banking Conduct of Business. CASS Client Assets. The requirements relating to holding client assets and client money. MAR Market Conduct. Code of Market Conduct, Price stabilising rules, Inter-professional conduct, Support of the Takeover Panel's Functions, Alternative Trading Systems, what is acceptable market conduct and what is market abuse.